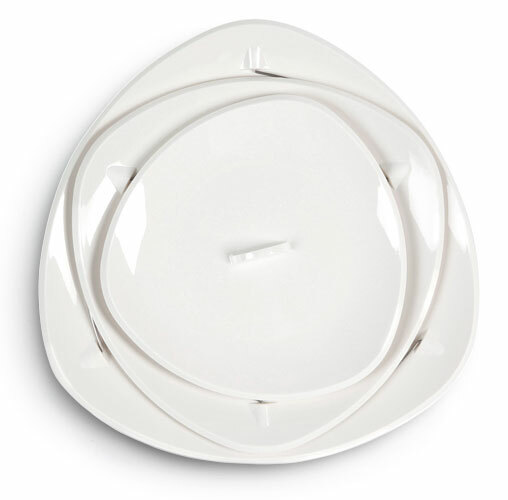 Unique serving plate set assembles and collapses with a simple twist. 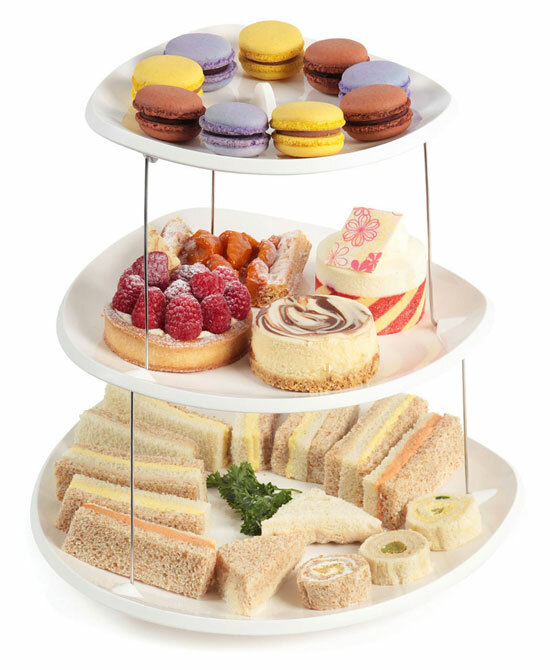 Ideal for parties and gatherings, Party Plates let you elegantly serve any finger food on crowded tables. When collapsed, the plates are nested and held securely in place by hidden magnets.